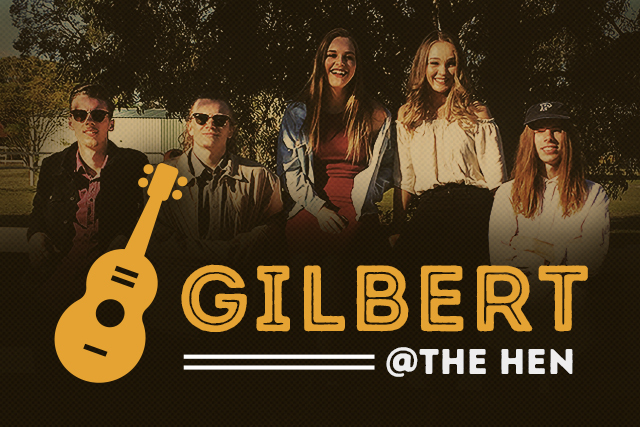 Gilbert are a band of talented musical students from the Western Australian Academy of Performing Arts, Mt Lawley. Named after The Hens resident horse, the line up includes The Hens own Adelle and Swan Valley local, Alana. The amazing backing band of young roosters deliver funk, soul and modern R&B with a smooth easy beat.